Gadget obsession is always a good source of jokes. 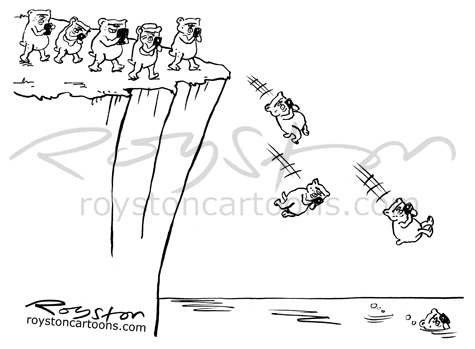 See more technology-based cartoons here and here. The horsemeat scandal doesn't seem to be going away any time soon. 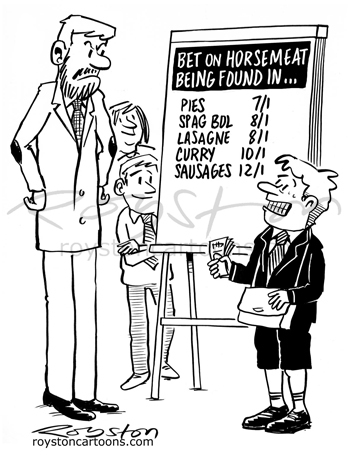 I drew this last week to accompany a newspaper story about testing for horsemeat in Kent schools. This is one of those subjects that seems to have caught people's imaginations as far as jokes are concerned, and there has been a plethora of horsemeat gags on Twitter. 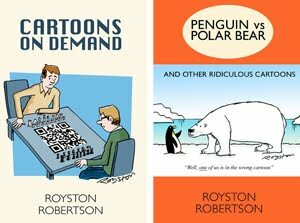 I wrote a piece on the rise of Twitter jokes, and how it means cartoonists are having to up their game, for the Procartoonists blog. You can read it here. "We've got TV on demand." 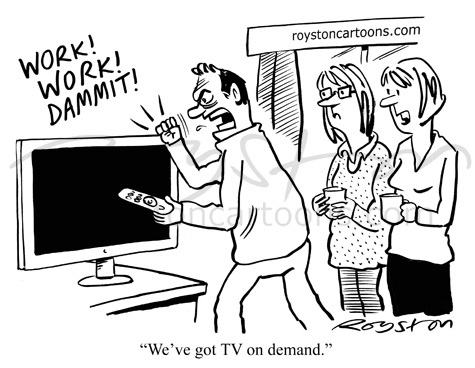 This TV cartoon can be seen on the TV review page of the current Private Eye, logically enough. Oddly, it's another one about anger. 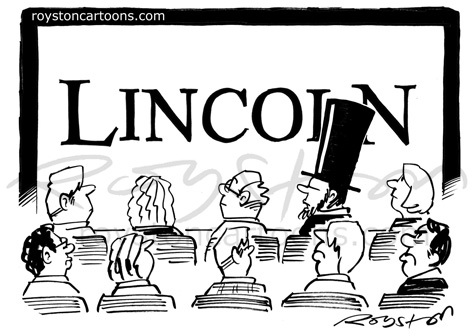 Film cartoon: Down in front! Don't you just hate it when this happens? From the current issue of The Spectator.